Forgiveness does not come easy. Jesus died for our forgiveness. There was a price paid. When we go back the Old Testament, a sacrifice was offered for sin. You would take an innocent lamb. The lamb had not done anything, but your sin would cost that lamb his life. When you entered into the temple, you would sense death. You would hear the lambs being slaughtered. You would smell the flesh being burned. You would see the blood draining off the altar. It was rather grotesque. It was a powerful visual reminder of the consequence of sin. It is different for us today. The religious ritual of forgiveness is much cleaner. We confess our sins in the presence of God. The pastor announces words of absolution. You might make the sign of the cross from your head to your heart and shoulder to should. There is no fire or blood. Then we approach the altar. We receive in the bread and wine, the very body and blood of Jesus. But it does not look like flesh or blood. It looks like bread and wine. It tastes like bread and wine. When we receive these, the pastor says, “take eat and take drink for the forgiveness of your sins.” Again, everything is neat and clean! But remember what is behind these acts. It is the sacrifice of Jesus. He was the Lamb of God who takes away the sin of the world. His sacrifice on the cross was hideous. If you ever watched the movie the Passion of Christ, you start to get a sense of the horror. 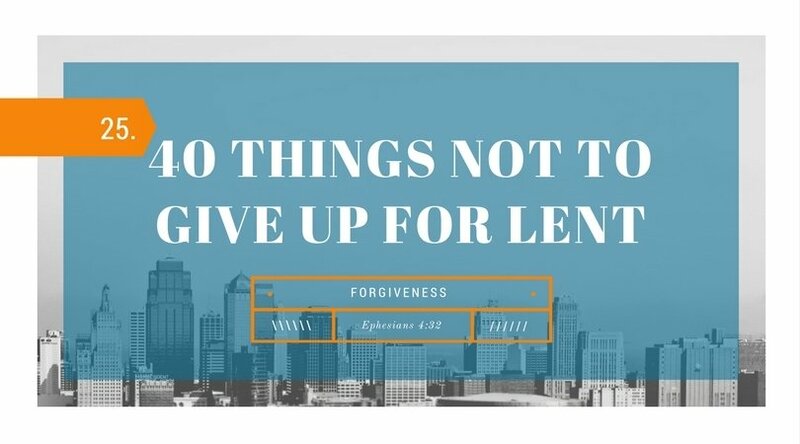 Lutheran pastor and theologian, Dietrich Bonhoeffer said, “Grace is free, but it is not cheap.” Indeed the free gift of forgiveness came at a tremendous cost. It came because of the innocent, bitter suffering and death of Jesus. When we read Ephesians 4:32, we read that we are to forgive one another. It is not easy to forgive. There is sacrifice involved. Anyone who says forgiveness is easy has never truly forgiven. It is easier to hold on to bitterness and grudges than it is to forgive. But it is through forgiveness that we experience freedom. It is freedom from sin that enslaves and freedom to experience fulfillment in our relationships. Forgiveness is critical for relationships. I am a sinner, and you are a sinner. We have that in common. If we spend enough time with each other, there will come a time when I will sin against you, and you will sin against me. We are human. It is part of our nature, and there is no getting around that. If we are going stay in relationship, we must learn to forgive one another. Otherwise, there will be a wedge that is driven among us. A divide will hinder true intimacy. We will go our separate ways and move on to one superficial relationship after another. Forgiveness is a bridge. It is sin that divides, but forgiveness that unites. The forgiveness that Jesus won on the cross was so that we could live in relationship with God. It was so that we could know God. It was so we could approach his throne of grace in prayer. It was so that we could stand before him in eternity. The forgiveness of Jesus also empowers our forgiveness. When we recognize the tremendous debt we have been forgiven, we see how insignificant the things we are unwilling to forgive. Our sacrifice to forgive may be difficult, but our sacrifice pales in comparison to the great sacrifice Jesus made to forgive us. Is there anyone you need to reach out to and forgive? Is there anyone you need to ask their forgiveness. How is idolatry practiced today? What are some idols you make for yourself? How do you overcome idolatry? How does Jesus conquer idolatry in our lives? Is there another person upon whom you have placed unrealistic expectations? Thank them and encourage them for what they have accomplished even though it did not match what you had expected. Under-promise and over-deliver! One of the reasons we disappoint people is because we promise too much. Don’t promise what you cannot offer. In other words, do not make an idol for yourself. In the context of the Old Testament, these idols would come in the form of statutes made of wood or stone. They served a purpose similar to good luck charms. People hoped these idols would bring happiness and prosperity, but God knew that these idols did nothing other than lead people away from trusting in him. Today we have different idols. We don’t often bow down to statues. Our idols come in different forms. Many of our idols come in the form of people. We put them on a pedestal they cannot live up to. Too often we expect more from others than they are able to give. The higher the pedestal we put them on, the further they have to fall. Recognize that our disappointment in others is often because we are holding them to a higher standard than we hold for ourselves. We are good at practicing forgiveness towards ourselves when we don’t meet our expectations. We are not nearly as good practicing that same forgiveness towards others. We expect them to be gifted in every way. Sometimes our disappointment is because they cannot deliver in a substantial enough way. Because they are gifted in one way we assume them to be gifted in another way. People have different ways in which they are gifted. We see this in pastors. Your pastor may be a gifted preacher and teacher. But you get him in a one-on-one situation in a hospital where he does not excel the same way he excels in the pulpit. We expect them to be someone they are not. Another reason others disappoint us is because they are not the same person we miss or grieve. We talk about someone having big shoes to fill. That new boss is not your previous boss. Don’t expect them to be. They are their own person. We expect them to share the same affinities as us. Another reason people disappoint us is because we expect them to think like us. We expect them to hold the same opinions as us. We expect them to have the same affinities as us. But consider these differences in others to be an opportunity to sharpen us. Iron sharpens iron. We expect them to be perfect and never offend us. A final reason people disappoint us is we expect them to be without sin. We are somehow surprised when a skeleton is discovered in someone’s closet. Consider your own life if you have things you would rather remain hidden. If you do, you are not alone. This is the reason God says you shall not make an idol. He knows every idol we make will eventually disappoint us. This command is given for our own welfare and benefit. The more we idolize, the harder it is to forgive. The harder it is to forgive the more weary and burdened our souls will be. There is only one we worship. There is only one we hold to the highest standard. That is our Savior Jesus. There is truly none like him. He is the only one that will not disappoint. Where do you see disunity in the world? What are the consequences of disunity? What is your role as a peace-maker? How does Jesus bring peace and reconciliation to a hostile world? What is a sacrifice you need to make for the sake of unity? What are you holding on to out of pride that is hindering unity in your marriage, church, or work? Participate in the Lord’s Supper this weekend with other brothers and sisters in Christ to find unity with them in Christ’s sacrifice. Where there are many visions there is division. We see it in the politics of America. There are different views about the future of America and how the government should be run. What we are left with is polarization and disunity on many important matters of policy. We see this same type of disunity within the church. There is competition between denominations. There is competition within denominations. There is also competition within many local churches. Different visions lead to division. Whether it is a pastor or a board member, their job is not easy. They have been entrusted with the task to make difficult decisions. We may not always agree with their decision,s but we must honor their decisions and trust they are seeking the Lord. That was why they were appointed to the position they were given. Unity is not the same as uniformity. Diversity is something to be celebrated within the church. We look different. We think different. We have different likes and dislikes. We have different gifts. The church would be very boring if everyone was the same. Differences will sometimes lead to conflict, but we would do well to look for the opportunity in conflict. How do we grow from conflict? What are the lessons to be learned in conflict? How is God refining us during conflict? The amazing thing about God is that he was willing to embrace a humanity which was hostile towards him. To make peace possible he led with love rather than justice. Rather than holding people accountable for their sins, he sent Jesus. God’s love for sinners is relentless. Like God, we must be willing to lead with love rather than justice. In 2 Corinthians 5:18–19 we are described as ministers of reconciliation. We are agents of peace. We strive for reconciliation by following God’s example in that he did not count people’s sins against them. He took their sins upon himself (2 Corinthians 5:18–21). For unity to exist, you must be willing to absorb the sins of others. A peacemaker must be willing to stand in the line of fire and sometimes get burned. We see the joining of two words in the one word communion (common + union). As the family of God we hold a unity of faith. We participate in the body and blood of Christ. There is a mystical union. That is what Sacrament is. The Lord’s Supper is about more than our relationship with Jesus. There is a reason we receive it together with other believers. Communion is also about our relationship with brothers and sisters in Christ – the body of Christ. Through the Lord’s Supper, we are one with Christ, but we are also one with each other. It’s the Body of Christ that unites us. I imagine this is one of the reasons Jesus tells us to do this often so that we remember our unity in him. What are some reasons people become bitter? What are some of the effects of bitterness on people? How do you respond when you feel bitterness growing inside you? 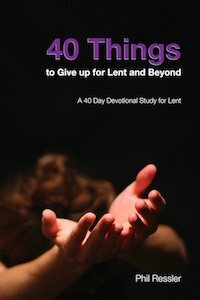 How does Jesus heal us of bitterness? Take a cotton ball and put some vinegar on it. Touch it to your tongue. Consider what the taste of the vinegar tells you about bitterness. After tasting of the vinegar, eat some fruit. Consider what the differences are between the vinegar and the fruit. How do the differences relate to bitterness and love? Choose love! Release the bitterness you have felt towards a person and ask Jesus for healing. Smoking, drinking, and unhealthy eating are the causes of many illnesses and diseases. But I am more and more convinced that many of our physical maladies are the result of our spiritual condition. Many people carry around bitterness. They are resentful and angry. As the bitterness takes root, it grows within them. Over the days, weeks, and years the bitterness becomes manifested through physical illness and other ailments. You need to know that bitterness is a tool of the devil. Bitterness destroys relationships. Bitterness locks us in isolation. Bitterness prevents us from experiencing God’s healing. We need to strive to release ourselves from the bitterness. Nothing good ever comes from holding on to it. Nothing! Bitterness is the way of the world. We see bitterness between rival political parties. We see bitterness where there are divisions in the church. We see bitterness between nations. We see bitterness in families. Bitterness seems to be a popular choice we make. It’s not easy to let go – you can’t do it on your own. You can only do it through the strength that God gives you through Jesus Christ. I was once told that the person who says forgiveness is easy has never forgiven anyone. It would have been easy for Jesus to have been bitter. He could have been bitter towards Judas for betraying him. He could have been bitter towards the other disciples for deserting him. He could have been bitter towards the religious leaders for accusing him. He could have been bitter towards the Romans for failing to protect him. He could have been bitter towards us for trivializing his sacrifice. He could have been bitter towards all these people, but instead he chose to die for them. I find it interesting that he was given the bitter wine vinegar upon the cross to drink (Matthew 27:48). He physically tasted of the bitterness, but bitter was the opposite of what he chose to be. He chose love. Through his blood he made provision for the forgiveness of all the ways we ever offended him. Today you may want to be bitter and angry. But let Christ do a new thing in you. Taste of the sweetness of the Gospel! Where does hate come from? How do we typically respond to hate? How do you believe prayer helps transform your hate into love? How does Jesus help us to respond to hate with love? Start praying for someone you have feelings of hatred or disgust towards. Share with another person about the unconditional love of Jesus. Repent of your own hatred and lack of love towards others. Fred Phelps was the founder of Westboro Baptist Church. This church is known for picketing the funerals of dead soldiers. Their message is one of hate. It leaves us to wonder how they could ever consider themselves a church. When Fred Phelps died, many people celebrated his death. It is easy to join in. Just as this man protested the funerals of so many others, there is a part of us that have liked to have done the same to his. But to have done so would have shown that we are not that much different. Jesus does not call us to respond to hate with hate. Hatred will destroy us. It will grip us, pull us, and lead us away from Jesus. This is not easy to do. We can only do this when we are empowered by the love of Jesus. Jesus says to pray for those who persecute you. That is a revolutionary thought. It goes against every natural urge we have. Prayer has a way of changing the way we think about other people. It’s hard to pray for someone and still be hateful towards them. When we start to pray for someone, our hate begins to turn to grief. We grieve over the darkness of their soul. We grieve over the emptiness of their lives. We grieve they miss out on the love of Jesus. I imagine Fred did not experience much joy in his life. When you are filled with so much hate, there is little room for love. I imagine Fred’s life was a very sad life. Even more saddening is that it seems Fred did not know the God of the Bible and the saving grace Jesus offers for sinners. Living apart from God’s saving grace leads to an eternity of misery and suffering. Jesus calls us to live in a different way. This does not mean we honor Fred in his death. We might rejoice in his death, but we will not gloat in his death. It is ever more important we respond with the love of God and live the love of God. There are other “Fred Phelps” out there who preach hatred in the name of God. If we stay silent about the love of God, how will they ever know anything different.